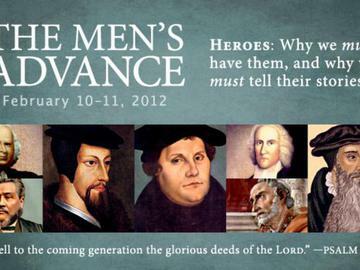 Our theme for 2012: "Heroes: Why we must have them and why we must tell their stories." Any man is welcome to attend who seeks to provide leadership within his own home, or who aspires to greater leadership within his local Church. Also, any son may attend along with his father or his pastor/elder.